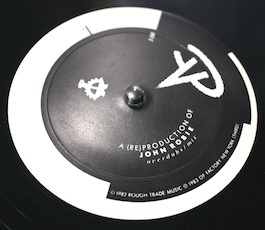 * Sticker from UK FAC 82 12" ('A Factory Records Giant Single') sleeve used as A-side label, with ink-stamped "7:20" timing added. ** Some copies on dark blue/purple see-through vinyl. 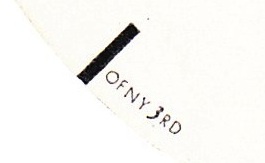 Also, the "of" in "Of Factory New York" is seen as 'of', 'oF', and 'OF' on various releases and materials.